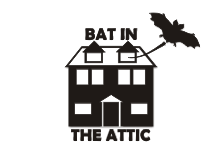 Bat in the Attic: Let's talk maps! How much time and money are you willing to devote to this? Cartography isn't just about finding the right software but also about obtaining the right equipment. For example for myself I use CorelDRAW ($500), a Canon scanner ($70), and a Wacom Bamboo ($60) tablet. To do what myself and others do with cartography you need the scanner and tablet especially if you plan to integrate hand drawn artistry. Going free and using alternatives will mean that you will have to compromise in some manner in your capacity to produce maps. The Adobe in the room. Adobe Creative Suite is a $56.17 a month subscription and give access to all of the Adobe software. Back in the day I felt software subscription was for the birds. And still do when it comes to some applications like CorelDRAW (which I buy the upgrades for rather than subscribe) or Microsoft Office (which I only upgrade every other version). However Adobe Creative suite is so extensive compared to the price it is too good of a deal to pass up given the fact that Adobe software is THE standard. That most of the pro tips and aides are written for adobe in mind. I use it mainly for Indesign and Acrobat. Which is vital for me to publish with print on demand because it far easier to get the files into the correct format required by the printer. But... but.. it is subscription, you will get shut out of your own files. Yeah but like most things reality is more complex when it comes to media rich documents like maps, layouts, etc. It doesn't matter if the software is free, licensed, or subscribed because whatever software you choose the final document will be locked into its format. A format that all but impossible to transfer to another comparable software. What more important in this situation is to build of a library of graphic elementrs, fonts, clip art, symbols, fills, and keep those in easily transferable formats like text, svg, jpg, pngs, or tiff. This way it doesn't matter what software you are using, you "library" comes along for the ride. 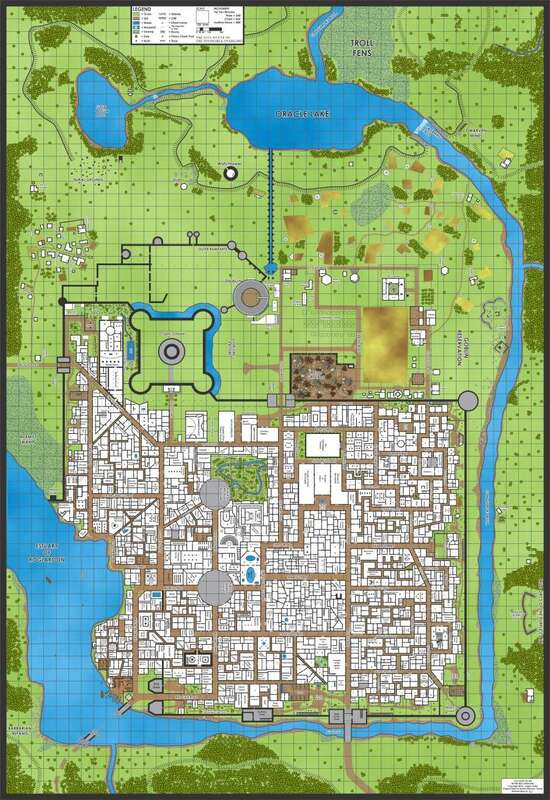 By far the best dedicated RPG mapping software is Profantasy. It not free and rather pricey if you get the full suite. 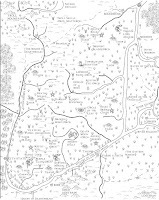 But it is capable and packed to the gill with numerous features does not only help you make RPG maps but RPG maps in different many styles, including handdrawn. 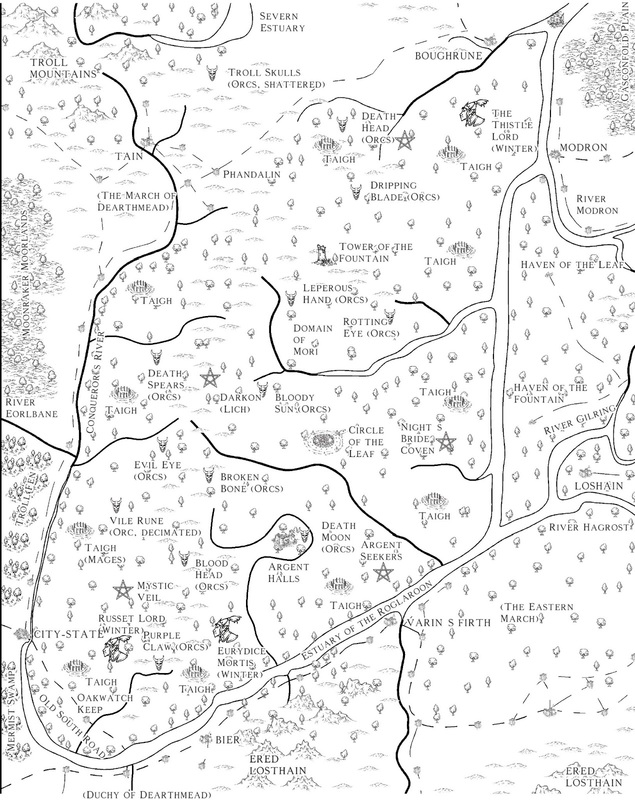 Including styles that allow you to replicate the style of popular cartographers like Mark Schley. 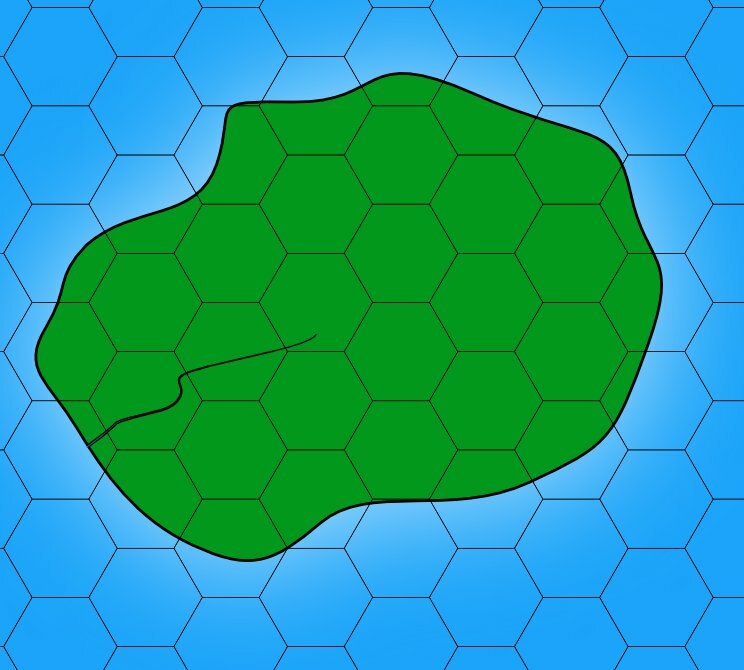 The major downside of Profantasy is the fact it is built on top of CAD sofware which give a higher learning curve than equivalent mapping programs or graphics programs. Fundamentally CAD software operates on the idea is that you give a command and then select the objects that the command will work on. While Adobe, Inkscape, and most of the other operate on the idea that you select the object first and then pick the command. Both methods are equally capable but going the CAD route means there is a learning curve because of that difference along. Most art or symbol purchases come with the common sense provision you can't the sell the art yourself as part of a package. I.e. competing directly with the source where you bought the art in the first place. Software like Microsoft Office often come with a student/home edition that restrict commercial use that is cheaper. The only solution is to use something else and compromise or pay for the commercial unrestricted version. Stock art library, like Adobe, have specific license that one needs to read. The good news those stock art libraries are not that critical for RPG cartography or publications. If you not going to go with Adobe or a mainstream package then what the next best alternative? There is Inkscape and GIMP. Inkscape is a vector drawing program that duplicate much of what Adobe Illustrator and CorelDRAW does. It is more than capable of drawing the kind of maps I draw and with work can draw maps in other styles as well. GIMP is a bitmap drawing program that duplicate much of what Adobe Photoshop does. It interface is known to be quirky but it is backed by add-ons and utilities written by thousands of users over decades. The above two in combination with a scanner and a tablet are able to do 80% to 90% of what Adobe, Corel, and other paid software can do. Most of the other mapping software out there are useful but tend to focus on a particular styles. There is a wealth of options if all one needs is to make something for their hobby. But for those who want to take the next step they are all compromised one way or another. Keep in mind many cartographers draw by hand, scan in the image, and then maybe do a few steps on the computer like placing a key or border. It can be quite effect like the work done by my friend Tim Shorts over on Gothridge Manor. The key to making cartography fun and not a chore is building up a decent graphic library. A collection of graphic elements, one can use for fills, borders, text, symbols, etc. For example the Vintyri Project has many free to use (in both sense of the world) graphic elements. 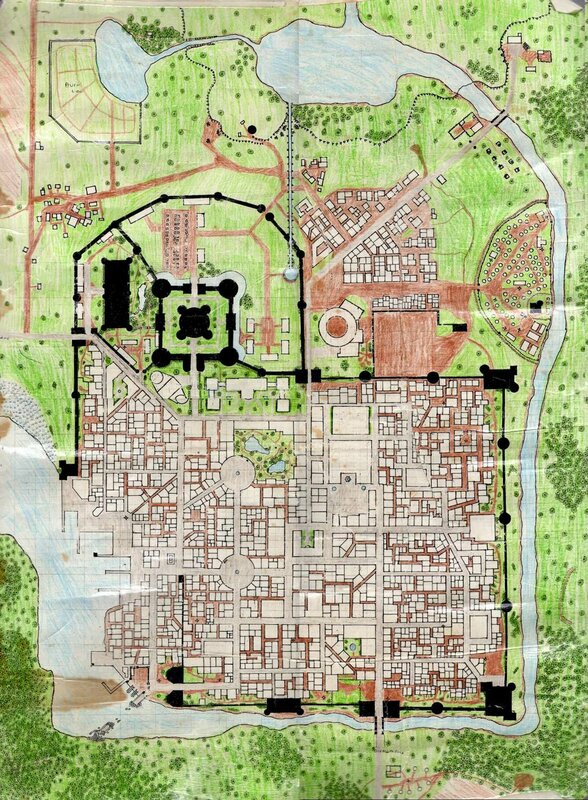 The Cartographer's Guild is the by far the best resource to learn about mapping using software on the internet. By people who use a variety of software and styles. However for the hobbyist who is really into maps, then Inkscape, GIMP, a scanner, and a tablet along with browsing through the Cartographer's Guild will be more than enough without taking a huge chunk out of your wallet. This is a really nice fun article. What have you got for those of us with no visual imagination? Nice rundown! A few more that I use (for work and for D&D related stuff) for a free photoshop type program my go to is paint.net which has a pretty easy to use interface (easier than GIMP to me at least) and a fair amount of open source user support. Also you didn't mention drafting type software which is pretty useful for dungeon maps and buildings. A great free option is Draftsight - it basically emulates (and is compatible with) AutoCAD but instead of the $2000+ seat price is free for the basic program. Just fyi, I enjoyed this post and mentioned it on my latest podcast. What is the best OSR system for RPG novices?